This book, like the others, was an excellent read. 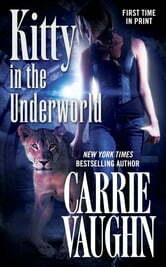 I can not wait to begin reading the next episode of Kitty. This was Kitty at her best. Last month I read Kitty Rocks the House and unfortunately, it didn't rock my house. It felt more like a filler book or a transitional book. In a startling contrast, this book took me by the hand at the beginning and just wouldn't let me go till the very end. I couldn't believe how fast I was able to just whip through this. 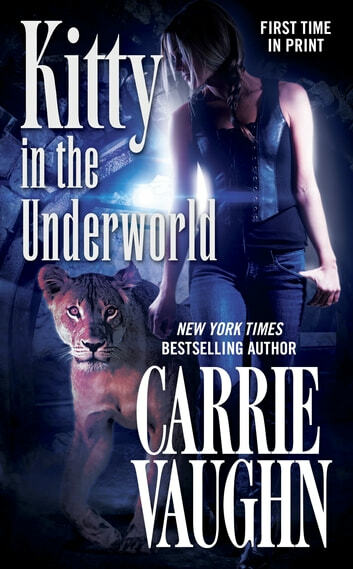 This was one of those books where it focuses on Kitty herself as she works her own special brand of insanity, without the help of Ben, Cormac or anyone else. It reminded me very much of some of the earlier books where it was Kitty alone against an enemy, trying to out talk and out think her opponent(s). It was Kitty at her best and sometimes worst. I think that this book was a huge jump towards the Dux Bellorum end game. We find out so much more about who he was, as well as exactly how long this Long Game has been going on. She didn't get any further toward his demise, but Kitty now has more pieces of the overall puzzle and more leads to follow. I am getting more excited about where this is heading. For me, this was a much better book than the last. And with only 1 more book to go till the ending, the tension is thick with anticipation. Plus, the next book is all about Cormac, gotta love that! I gave this book 4 stars.